As one of the most prestigious women’s colleges in the United States, we are thrilled to welcome Scripps into the SHE-CAN Coalition. 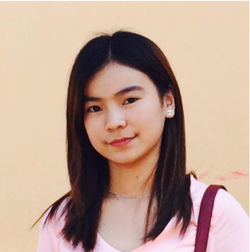 In 2016, they admitted a member of our first cohort of Cambodian scholars, Sreileak Hour, and it is clear that she will be pushed in ways that ensure her destiny as an outspoken female leader in Cambodia. Similar to the structure of SHE-CAN Coalition, Scripps understands the value of drawing on their unique consortium as one of the five Claremont Colleges. This openness to collaboration provides students with the resources to gain a global and diverse perspective on the world. We are proud to be partnered with Scripps, the first all-women’s college in our coalition, because we know that their deep commitment to producing critically-minded female leaders will empower our scholars with the tools necessary to return home as change-makers.